The Rivers State rerun elections last Saturday were marked by violence and casualties as PDP and APC continue to trade blames and insults. 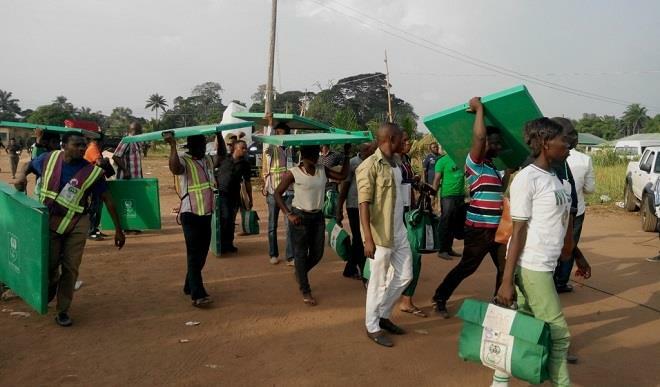 The elections took place in three senatorial districts, 12 federal constituencies and 22 state constituencies in 23 local government areas in the state and the Independent National Electoral Commission cited the disruptions when it concluded that the election results were inconclusive. A Youth Corp member, Okonta Samuel as well as an Army major were among those killed in the spate of violence as Amaechi and Wike supporters refuse to back down. President Muhammadu Buhari today condemned the killings as he called them ‘barbaric and unacceptable’.